WHO DOES ISRAEL REALLY BELONG TO? The Jewish (zionists) claim that Israel belongs to them based on the Bibical claim that God promised the land to Abraham and his descendants. The Palestinians claim it belongs to them by the simple fact of their continuous residence repeated through birth and possession going back to the earliest Canaanites and even those people living there before recorded history. These arguments have been heard throughout recent history, with more support given to the Jewish claim through the efforts of the Lobby in the States and constant support from most of the western governments. The Palestinians do not have a Lobby on their side, they rely on fairness in the press to present their side of the ‘story’. This does not happen often, but there is a growing number of resources that do present their views and in many cases support them as well. CounterPunch has been constant in this since its inception in 1994. The following is the latest example of the support I speak of…. For Palestinians, theirs is not the land of conquest, but the land of their roots going back to time immemorial. Such a lineage does not rely on a biblical promise like the Jewish claim that God promised the land to Abraham and his descendants, and is therefore, the historical site of the Jewish kingdom of Israel. It belongs to the people of Palestine by the simple fact of their continuous residence repeated through birth and possession going back to the earliest Canaanites and even those people living there before recorded history. They were there when the Israelites invaded the land, occupied it, and held it intermittently as wave after wave of other conquerors came and went, and they were still there when the Romans put an end to Jewish Palestine by destroying Jerusalem in 135AD. If a religious basis is sought, then the Palestinians can lay claim to being the descendants of Abraham’s son Ishmael who is regarded the forefather of the Arabs. But actually, Palestinian rights are enshrined in the universally accepted principle that land belongs to its indigenous inhabitants. Thus, the modern day struggle for this land by European Jewish immigrants who have no connection with Palestine other than through their religion is a colonial enterprise that seeks sovereignty for an “external Jewish population” to the exclusion of the indigenous Palestinians who, regardless of faith–Jewish, Christian or Muslim–have lived together for centuries. Although eager to accept the UN Partition Plan of 1947 which recommended that 56% of the land be set aside for a Jewish State, 42% for an Arab state and 2% for an internationalised Jerusalem and its surrounds, the world has not said a word about the land that was seized by Zionist terrorists before the State of Israel was proclaimed on 14 May 1948. Through a series of shocking massacres, the territory assigned to the Jews suddenly became 77% resulting in more than 750,000 Palestinians being forcibly expelled and dispossessed of their homes, personal property and their homeland. The Jewish State then came into being without waiting for the United Nations Commission – prescribed in the Partition resolution – to hand authority progressively over to the Jewish and Arab leaders for their respective states. And after the 1948 war, Israel declared Jerusalem its capital in contravention of its internationally-recognised status of corpus separatum–a status that is still recognised. Effectively, the new state of Israel was not only created in violation of, it continued to violate, the very resolution which Israelis now look to as giving them sovereignty. The Arab state imposed by the UN Partition Plan without consultation and in contradiction to the UN charter – which should have upheld the majority indigenous Palestinians’ right to self-determination – has since been deliberately and methodically whittled away by Israel, leaving nothing but isolated non-contiguous parcels of land to some 4 million Palestinians. Last week an Internet server crashed…. not just any server but a very special one, the one that serviced the Blog of Haitham Sabbah, one of the most dedicated people to the cause of Palestinian freedom I have ever known. He, himself, is a refugee living in the Palestinian Diaspora, not by his own choice, but by decision of the Israeli government which forbids him to return to his home in Palestine. Haitham is the Administrator of a site called Palestine Blogs, a site where all blogs supportive of the Palestinian struggle come together as one united front on the Web. This site was serviced by the same server that crashed, rendering the entire site history…. that was until Haitham literally resurected it. The frustration that he suffered did not stand in the way of his undying dedication. He has proven time and time again to all of us that he is a ‘good soldier’… with one goal in mind, that being the establishment of Justice and Freedom in his homeland Palestine. Those of us that ‘battle’ with him applaud his extra special efforts and make it known how much he is appreciated by all of us. For this we say, thank you Haitham! May we all rejoice together in the final victory in the streets of Al Quds one day soon. The following was posted a year ago at Passover. The glorious holiday of Freedom starts this Monday night at sundown. I want to wish all of my Jewish readers a very Happy Passover. Let us all hope and pray that it will herald in an era of Freedom for all oppressed peoples throughout the world. 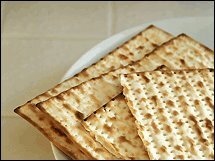 Passover is the traditional Jewish celebration of freedom. 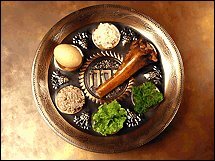 We have a traditional feast called a Sedar, which means the Order.. The book that is read during the Sedar is called a Hagadah. It is the story of the flight of the ancient Hebrews from enslavement in Egypt to freedom in the ‘Promised Land’. As we celebrate Passover this week I keep thinking about the extraordinary show of strength and solidarity within the Hispanic community of Los Angeles when over half a million strong they marched downtown only a few weeks ago to protest the impending anti-immigrant legislation being discussed by congress. I couldn’t help but think of that powerful seder I experienced a couple of years ago when two of the participants were so overcome with emotion that they both began to cry as they shared their life experiences with the rest of us sitting around the table. It was a seder that took place at the United Methodist Church in Santa Monica, California and it was attended by about a hundred and fifty men, women and children, evenly divided between Anglo and Hispanic, Christians and Jews. The unusual group of leaders included both men and women, rabbis, ministers, reverends, priests, representatives of the Jewish Labor Committee, musicians who sang in Hebrew, Yiddish, English and Spanish, field workers for the Latino labor alliance and two women who work as minimum wage earners at hotels in Santa Monica and are involved with labor struggles with the hotel management. “Let all who are hungry come and eat,” we read, as Carolina Gonzales stood with tears running down her face as she described (also in Spanish) the fear and frustration she experienced every day working at another hotel, living in South Central LA and spending three hours a day by bus commuting to work. “I came here 18 years ago and I had to work in the home of the family that sponsored me for 9 years to pay off the debt of just getting to America. “Now we are enslaved, next year we will be free” says the Haggadah, and I choked on the words as I read them and looked into the faces of these beautiful, proud, and struggling women. My ancestors left Egypt/Mitzrayim three thousand years ago. And yet we retell the story year after year to remind ourselves that as long as any are not free, none of us are truly free. Maria and Carolina reminded me of the profound blessings that fill my life every day, of how rich I am in every way, of how much I take for granted and what it truly means to struggle for economic freedom, for justice, for basic dignity, respect and sustenance. I was reminded that plagues that denigrate our humanity and diminish the vision that each of us is created in the image of God come in many different forms including low wages, no health benefits, impossible workloads, sexism, racism, unhealthy working conditions, disrespect in the work place, aggressive techniques that disable workers’ rights to organize, bargaining with a lack of good faith. It’s almost unbelievable to me that a hundred years after courageous Jewish men and women fought for the rights of workers everywhere to organize and have fair and decent wages and working conditions, we are still fighting the same battles. As we gather around our Passover tables this year, let us remember that enslavements take many forms, and that the enslavement of poverty and the hopelessness of inadequate wages and health care are task masters that we are still challenged to overthrow. This year many are still enslaved, may they all be freed in the year ahead. OMG OMG OMG!!! Religion has officially ‘gone to pot’. With all the problems there are in Israel today, THIS is what CNN just reported via a Reuters bulletin. JERUSALEM (Reuters) — Marijuana is not kosher for Passover, a pro-cannabis advocacy group says, advising Jews who observe the week-long holiday’s special dietary laws to take a break from smoking it. The Green Leaf Party announced on Wednesday that products of the cannabis plant have been grouped by rabbis within a family of foods such as peas, beans and lentils that is off-limits to Jews of European descent during Passover. The Green Leaf Party, which has made several unsuccessful attempts to win election to parliament on a platform urging marijuana’s legalization, said it was issuing its advisory as a service to Jews who do not want to break ritual law. But it said the rabbinical ban for the holiday beginning at sunset on Monday, during which many Jews eat matzos, or unleavened bread, could be a blessing in disguise. “Logic dictates that if the rabbis say cannabis is non-kosher for Passover, it is apparently kosher during the rest of the year,” Michelle Levin, a spokeswoman for the party, told the YNet news web site. It seems that anti Arab sentiments are on the rise in Israel. This according to a recent poll on whether or not the state should back Arab migration. Of 500 Israeli Jews polled, the results showed 50% were in favour of encouraged migration. I find it amazing that there is no attempt made to hide these feelings. Israel is constantly denying that it is a racist state or a state that is implementing apartheid, but here is proof that those very policies are supported by half of the population. It is a very sad commentary on the situation here and shows how much work is left to be done in this country to reverse this trend before it completely overtakes us. Racism must be defeated through education. Ignorance leads to fear and fear leads to walls being built. Our work is cut out for us…. A Poll sponsored by the Center for the Campaign Against Racism found that half the Jewish population of Israel believe the state should encourage Arab migration. The poll, conducted by the Geocartography Institute and presented Tuesday at a press conference, found a sharp increase in the number of Israeli Jews who support Arab migration in comparison to a similar poll conducted last year. The poll was carried out in December 2006, and included 500 participants. The margin of error is 4.4 percent. In addition, the poll addresses the Jewish reaction to hearing the Arabic language spoken on the streets of Israel. According to the data, some 50 percent of the participants said they become fearful when they hear the Arabic language spoken around them. 43 percent said they feel uncomfortable, and 30 percent feel hatred. In contrast, last year only 17.5 percent said they feel hatred when faced with spoken Arabic. The poll participants were also asked about work relations with Arabs. 50 percent said they would refuse to work at a job in which their direct supervisor would be Arab. This number represents a 47 percent increase since the 2005 poll on the same topic. Center for the Campaign Against Racism director Baher Awdeh called on the state of Israel on Tuesday to “wake up” in light of these findings, and utilize its judicial and education systems to combat this rise in racist sentiments. Awdeh said that the fact that Israel is defined as the “Jewish state” is discriminatory against Arabs in and of itself. “Jewish citizens interpret this definition to mean that they are superior or entitled to more rights than Arab citizens,” he said. Awdeh offered his explanation for the deterioration of Jewish-Arab relations, saying the war in Lebanon, and the opposing views it generated among Jewish and Arab citizens, could have contributed to the deterioration. Another reason could be the entry of Avigdor Lieberman (Yisrael Beiteinu) to the coalition, being a politician known for his anti-Arab views. He added that Israel’s policy of expropriating Palestinian lands and destroying Palestinian homes may have also contributed to the problem. “When Sheikh Raed Salah said what he said in Jerusalem, he was immediately arrested and indicted. But when Jewish religious figures and politicians express anti-Arab views, no indictments are filed, even months later,” Awdeh said. WHEN IS A PALESTINIAN NOT AN ARAB? Conversation overheard in a hotel in Israel…. Those are the words of a group leader of an Evangelical group that is visiting Israel. He was discussing the situation in Israel/Palestine to his group after a visit to the Palestinian city of Jericho. I spoke to a number of these visitors that were absolutely shocked by the situation in the Occupied Territories. They were amazed at the difference of living conditions on the ‘other side’ of the wall. I was able to convey the message to them that the poverty that exists there is due to the oppression suffered at the hands of the zionists. I asked them how it would be if they were not able to work, not able to send their children to school, not able to visit family members, not able to get to a hospital when necessary…none could conceive of these horrors. My comments were met by sympathetic ears,and hopefully will serve as ‘food for thought’ compared to the words of the group leader. His mission is to bring ‘Christians’ to Israel to literally walk in the footsteps of Jesus and get a sense of the ‘gathering of the exiles’ to the Promised Land which will herald in the new Messianic Era and the second coming of their Messiah. That’s all fine and dandy…. but what about the Palestinians? Do they have to be painted as the children of satan whose only purpose in life is to destroy that Jewish state? Do they have to be detached from their own people and dehumanised in such a way as to appear as a total non entity? The struggle of the Palestinian people is an integral part of the struggle for peace in this region, a goal that can only be achieved when they are recognised as a nation. It is bad enough that the Palestinian people are denied statehood, now their very identity as Arabs is being taken away from them. At one point in history ignorance was considered bliss… that no longer carries much weight these days. Every opportunity is available today to learn the truth about anything, anywhere…. unless you don’t want to or don’t want anyone else to. In that case, it is no longer ignorance, it is dishonesty and deceit. Bottom line is this type of ignorance and hatred must be fought against at every level. One must not remain silent… the truth must be heard. The words of the group leader can become a reality… the part about ‘Palestinians live in Palestine’ Palestine MUST become a reality… not an occupied nation. Palestine MUST become a state… an ARAB state. I just spent a few days away and had the chance to speak to a number of Palestinian tour guides in Israel. Their business has suffered greatly over the past few years. Between the Intifada and this past summer’s wars in Lebanon and Gaza tourism to Israel was literally put on hold. Things are picking up now but a new problem has manifested itself… most groups that visit Israel these days are organised by various Church groups identified in the most part as Christian zionists. They have always supported the concept of the ‘Jewish state’ and have contributed greatly to the tourist industry over the past few years. Apparently because of pressures put on the organisors in the States, more and more of these groups are requesting non Muslim tour guides. This is causing ill feelings towards those responsible and is resulting in most of the Muslim tour operators to be unemployed. What we are seeing is a new type of separation… the old one being Palestinian separated from Jew, now we see Christian separated from Muslim. Did He say… except Muslims??? I THINK NOT! Two quotes that say it all…..
Uri Avnery never ceases to amaze me. The man has an analytical mind second to none when it comes to questions dealing with the Palestinian-Israeli conflict. The following essay is the best I’ve seen analysing the Palestinian Unity Government. I found it on today’s CounterPunch…. a definite must read…..
FOR THE Palestinians, the immediate blessing is the elimination of the threat of civil war. That was a nightmare. It was also absurd. Palestinian fighters were shooting at each other in the streets of Gaza, gladdening the hearts of the occupation authorities. As in the arena of ancient Rome, gladiators killed each other for the amusement of the spectators. People who had spent years together in Israeli prisons suddenly acted like mortal enemies. That was not yet a civil war. But the bloody incidents could have led there. Many Palestinians were worried that if the clashes were not stopped immediately, a fully-fledged fratricidal war would indeed break out. That was, of course, also the great hope of the Israeli government – that Hamas and Fatah would annihilate each other without Israel having to lift a finger. The Israeli intelligence services did indeed predict this. In the days of the struggle of the Jewish community in Palestine against the British colonial regime (“the Mandate”), a civil war was averted only thanks to one person: Menachem Begin, the commander of the Irgun. He was determined to prevent a fratricidal war at all costs. David Ben-Gurion wanted to eliminate the Irgun, which rejected his leadership and undermined his policies. In the so-called “season”, he ordered his loyal Haganah organization to kidnap Irgun members and turn them over to the British police, which tortured them and put them in prison abroad. But Begin prohibited his men from using their weapons to defend themselves against Jews. Such a struggle among the Palestinians will not turn into a civil war, because the entire Palestinian people oppose this strenuously. Everybody remembers that during the Arab Rebellion of 1936, the Palestinian leader at that time, the Grand Mufti Hadj Amin al-Husseini, butchered his Palestinian rivals. During the three years of the rebellion (called “the Events” in Zionist terminology) Palestinians killed more of each other than they killed of their British and Jewish opponents. The result: when the Palestinian people came face to face with their supreme existential test, in the war of 1948, they were split and splintered, lacking unified leadership and dependent on the mercies of the bickering Arab governments, who were intriguing against each other. They were unable to stand up to the much smaller organized Jewish community, which rapidly set up a unified and efficient army. The result was the “Naqba”, the terrible historic tragedy of the Palestinian people. What happened in 1936 still touches the life of every single Palestinian to this very day. It is difficult to start a civil war if the people are against it. Even provocations from outside – and I assume that there has been no lack of these – cannot ignite it. If Hamas did not exist, it would have to be invented. The Palestinian population in the occupied territories is almost evenly divided between Fatah and Hamas. It makes no sense at all to sign an agreement with half a people and continue the war against the other half. After all, we shall make serious concessions for peace – such as withdrawing to much narrower borders and giving East Jerusalem back to its owners. Shall we do so in return for an agreement that half the Palestinian people will not accept and will not be committed to? To me this sounds like the height of folly. That will not be easy, for sure. The refugee problem has psychological roots that touch the very heart of the Palestinian-Zionist conflict, and it concerns the fate of millions of living human beings. But when the Arab peace plan says that there must be an “agreed upon” solution – meaning agreed upon with Israel – it transfers it from the realm of irreconcilable ideologies to the real world, the world of negotiations and compromise. I have discussed this many times with Arab personalities, and I am convinced that an agreement is possible. THE NEW Palestinian government is based on the “Mecca agreement”. It seems that it would not have been possible without the energetic intervention of King Abdallah of Saudi Arabia. In this picture, Israel is a hindrance. A few days ago Ehud Olmert flew to America and told the conference of the Jewish lobby, AIPAC, that a withdrawal from Iraq would be a disaster (contrary, by the way, to the opinion of more than 80% of American Jews – who support early withdrawal.) This week, the US ambassador in Tel-Aviv hinted that from now on the Government of Israel is allowed to conduct negotiations with Syria – and it may be assumed that this hint will turn into an order before long. In the meantime, no change in the position of the Israeli government is noticeable. Olmert’s support rating in the polls is approaching zero. The percentage points can be counted on the fingers of one hand. Practically everybody speaks about his political demise within weeks, perhaps after the publication of the interim report of the Vinograd commission on the Second Lebanon War. But even if Olmert manages to survive, his will be a lame duck government, unable to start anything new, and certainly no bold initiative vis-à-vis the new Palestinian government. But if Bush supports us on one side, and the Saudi king on the other, perhaps we shall after all take a few steps forward. As people in this region say: in sha Allah, if God wills. Very often my posts included essays by this brilliant woman. Her dedication to the causes of peace and justice were without question. Her outspokeness against the injustices against the Palestinian people were always an inspiration to all activists on the Left in Israel. She will be missed by all who knew her, all who looked to her for guidance. We will miss you Tanya, we thank you for the years of dedication. On International Woman’s Day I reposted an article that I wrote a year ago. In it I named a few women that most influenced me in my life and the path I choose for myself. One of those mentioned was Ann Yellin, a woman that I knew from childhood. Someone else I know from childhood is my dear friend Matt, he has a Blog that is worth visiting (it’s in my links). Matt wrote a beautiful tribute to this wonderful person, Ann, in honour of her 90th birthday. It’s a must read and is presented below. To see the original, including photos click HERE. Thanks Matt…. you are still the greatest! I came of age in the 1960’s. I cut my eye teeth in the political struggles for civil rights and the fight to end the war in Vietnam. The 60’s were just 30 years out from the terrible times of the Great Depression and a mere 15 years from the end of World War II. Today, Vietnam is a distant memory and, I think, if you asked young people about the depression and the second world war, many would be hard pressed to give you much insight into either. To a large extent that’s a product of our corporate controlled mass media and culture which wants us to forget our history. As they say, those who ignore the lessons history are bound to repeate it. The Great Depression holds lessons for today’s struggles against economic injustice, just as the echoes of Vietnam reverberate from the walls of Baghdad. I learned my lessons and incorporated my values from my parents. The sons and daughters of the immigrant waves who poured into this country in the early parts of the 20th century, their parents gave them a keen awareness of economics and politics,having fled the hard times and repression of Europe and other parts. Their parents also imbued them with a sceptical eye critical of the promised blessings of American capitalism where the streets were said to have been paved with gold. More often, those streets were home to those out of work and hungry for a bit of food. They quickly learned that in America they had to stand together or they would die apart. And so they organized. The built the mighty trade union movement and with that came other victories: social security, unemployment insurance, a 40-hour work week, health insurance. Without a knowledge of history and the sacrifices of those who came before, these social benefits have often been taken for granted by the generations that followed (perhaps not so much any longer in the age of Bush)not knowing that they were the fruit of many a bitter struggle and were not given from on high but instead wrested from the political establishment and the corporate power that had run the country without a care for those who worked for a living. And then that generation went to war as an evil fascism decended on the world. They understood the danger and rose to the challenge and, with great loss of life and limb, defeated it. It’s no wonder they were called the Greatest Generation! It was with this appreciation that I attended, yesterday, the 90th birthday celebration of a dear friend, Anne Yellin. Friends of my parents, forever it seemed, Anne and Jack Yellin were residents of the same Manhattan Beach community that I grew up in. Jack, who died many years ago, was an electrician. He was one of those brave band of so-called premature anti-fascists, joining the redoutable Abraham Lincoln Brigade to fight in Spain where Franco, with Hitler’s help, was trying to overthrow the democratically-elected government. Anne was a registered nurse. But she was also a consummate activist, participating in and leading every struggle that confronted the people from civil rights to health care. And she was always, always active in the fight for world peace, be it the movmement to end the war in Vietnam or joining with tens of thousands of others to end the threat of nuclear armageddon. To this day, she remains active in these wonderfully humane activities. So this was not just a celebration of a 90th birthday, an important accomplishment in its own right. It was also a celebration of a wonderful and meaningful life – one dedicated to helping people, caring about people, caring about our planet. If there is anything more eloquent that can be said about a person’s life and its meaning, I don’t know what it is. Happy Birthday to you Anne and thank you for all that you’ve done. May we all appreciate Anne Yellin and others of her generation that stood up to be counted when it mattered most. May we all learn from her generation and use that knowledge as we face the challenges of today and tomorrow. Israel’s first and only Arab Minister in the Knesset is in ‘hot water’ for refusing to sing the national anthem. Some are calling for his dismissal, others are calling for him to apologise…. resident fascist Lieberman has been too busy attacking all Arabs in general to voice an opinion on this matter. His priority can be seen HERE in this Ynet report. Israel is constantly claiming that its Palestinian citizens have equal rights and are not second class citizens. It’s obvious that this is true as long as these citizens are willing to ‘march to the zionist drum’…. otherwise it’s back to the second class status. The words to the National Anthem can be seen HERE. Read HERE about the situation in this Ynet report…. Rightist Knesset members strongly criticized Minister Raleb Majadele Saturday, after he said in an interview to Yedioth Ahronoth this weekend that he refuses to sing Israel’s national anthem, Hatikva. Majadele told Ynet following interview that, “As a government minister, I swore allegiance to the laws of the State of Israel, and I intend to honor them.” Majadele noted that he expresses his respect to the national anthem by standing up whenever the song is being sung. “To the best of my knowledge, the law does not require me to sing the anthem, but to honor it. I fail to understand how an enlightened, sane Jew allows himself to ask a Muslim person with a different language and culture, to sing an anthem that was written for Jews only,” he added. Majadele’s statements prompted harsh responses among right-wing MKs. MK Arieh Eldad (National Union-National Religious Party) said that a man who refuses to sing the national anthem should not be a minister. “I don’t want to force Minister Majadele to sing the anthem, but I don’t want to see as a minister a man who does not identify with Israel’s character, and who declares he does not identify with the national anthem,” he stated. MK Zevulun Orlev (National Union-NRP) was also furious with Majadele’s words and said that the prime minister should order the minister to apologize. “Majadele’s statements should raise deep concern. They represent a clear violation of his ministerial oath to be loyal to the State of Israel and its laws. I call on the prime minister to demand that he make it clear he is loyal to the State of Israel as a Jewish state,” he declared. Meanwhile, MK Ahmed Tibi voiced his support for Majadele, and said that he too never sings the anthem. “Lately we have witnessed a torrent of anti-Arab statements, and this should be understood in this context,” he concluded. The following was sent to me..
Palo Alto Calif., March 16, 2007 – Today, on the fourth anniversary of the killing of American activist Rachel Corrie, The Rebuilding Alliance and partner NGO Gaza Community Mental Health Programme invite the world to reach through the blockade of Gaza to join a series of “Housewarming Teleconferences” in April to celebrate the opening of the first home in the Rachel Corrie Rebuilding Campaign in Gaza. Four years ago, on March 16, 2003, twenty-three year old Rachel Corrie stood with her megaphone to stop the Israeli army bulldozer that threatened the Gaza home of the Nasrallah family. She had lived with that family and knew there were 5 children inside the home. The bulldozer driver did not stop and Rachel was killed. The Israeli Army destroyed 2200 homes in that Rafah Gaza town. Rachel was a member of the International Solidarity Movement. Formed when the UN Security Council failed refused to send UN peacekeepers, Rachel joined a civilian movement from all over the world to help stand with Palestinians in their nonviolent struggle against the Israeli occupation. In April, dignitaries from around the world will be guest speakers in a series of “Housewarming Teleconferences” co-sponsored by the Gaza Community Mental Health Programme in partnership with the American nonprofit, The Rebuilding Alliance. The Rachel Corrie Rebuilding Campaign is jointly sponsored by the Gaza Community Mental Health Programme in partnership with the American NGO, the Rebuilding Alliance. A seven state U.S. speaking tour in May, 2007 will feature Mr. Husam El Nounou from Gaza will join Rebuilding Allianceand Rebuilding Alliance board member Jerusalem Rabbi Jeremy Milgrom for a six state U.S. speaking tour in May of this yearfrom Jerusalem, 2007. Mr. Hussam El Nounou is part of the founding team of the Gaza Community Mental Health Programme (GCMHP) along with Dr Eyad El Sarraj. As the public relations coordinator for GCMHP, he serves as editor-in-chief of a bi-monthly magazine, Amwaj, has chaired the organizing Committees for 5 international conferences, and represents GCMHP in the Palestinian Non-governmental Organizations Network (PNGO) where he served as the first coordinator for the Network Steering Committee. Fluent in English and his native Arabic, Mr. El Nounou is also proficient in Hebrew. Mr. El Nounou traveled to the U.S. in 2000 as part of the “International Visitors Programme” organized by the US State Department. He deeply believes in peace and coexistence and sees the Rachel Corrie Rebuilding Campaign as an important way for ordinary people to impact a devastating human rights issue. Mr. Hussam El Nounou is part of the founding team of the Gaza Community Mental Health Programme(GCMHP) along with Dr Eyad El Sarraj. As the public relations coordinator for GCMHP, he serves as editor-in-chief of a bi-monthly magazine, Amwaj, has chaired the organizing Committees for 5 international conferences, and represents GCMHP in the Palestinian Non-governmental Organizations Network (PNGO) where he served as the first coordinator for the Network Steering Committee. Fluent in English and his native Arabic, Mr. El Nounou is also proficient in Hebrew. Mr. El Nounou traveled to the U.S. in 2000 as part of the “International Visitors Programme” organized by the US State Department. He deeply believes in peace and coexistence and sees this (rebuilding? his work at GCMHP? – what is “this” referring to – please clarify) as a human rights issue, one that ordinary people can impact. Donna Baranski-Walker is the founder and Executive Director of the Rebuilding Alliance. She holds a B.S. from the Massachusetts Institute of Technology and an M.S. from the University of Hawaii. The Rebuilding Alliance is the recipient of the Employer of the Year Award from the San Francisco Mayor’s Committee for the Employment of Persons with Disabilities. Our vision for Rebuilding Neighborhoods in areas of war and occupation was featured in the Changemakers Entrepreneuring Peace international competition. The Rebuilding Alliance, a 501c3 nonprofit organization (EIN 56- 2392452), rebuilds homes and communities in regions of war and occupation. We advocate for government policies towards these regions based on human rights and international law. Donations are tax deductible in the U.S. If we cannot get along together how can we expect to have peace? Negotiations are meaningless if the people themselves do not back the process. Hebron is a perfect example of what I am talking about, for decades the settlers and the Palestinians have been a thorn in each other’s side. The settlers provoke, the Palestinians respond, the Palestinians revolt, the settlers attack…. it’s an ongoing situation that is standing in the way of peace ever becoming a reality. In the case of Hebron, if the Israeli government is serious about peace talks, the surrounding Jewish settlements must be dismantled and the Israeli forces must leave the area. Because of the special status Hebron has to both peoples, concessions must be made to allow Jews access to the holy sites there, but under the control of the Palestinian Authority in whose land those sites are situated. Only when these goals are accomplished, will the Palestinians be able to control their own areas, eventually leading to statehood….. but it must be Israel that allows this to happen. There will not, cannot be, peace until that day. Areas in Jerusalem are experiencing similar difficulties… again for the same reasons. The same solution must be applied to those areas in question. The status of Jerusalem must be on the negotiating table. If not, nothing will change. Both sides have to be prepared to negotiate from a position of strength and equality… not as Occupier to Occupied. The Occupation must end NOW as a prerequisite to any peace talks. There is no other choice as can be seen in the following two disressing articles… ONE from the Electronic Intifada, the OTHER from the magazine section of today’s Jerusalem Post. The following is a Guest Post from my dear friend Robin’s Blog, Under The Holly Tree. Israel’s struggle for peace is a sincere one. In fact, Israel desires to live at peace not only with its neighbours, but also and especially with its own Palestinian population, and with Palestinians whose lands its military occupies by force. Israel’s desire for peace is not only rhetorical but also substantive and deeply psychological. With few exceptions, prominent Zionist leaders since the inception of colonial Zionism have desired to establish peace with the Palestinians and other Arabs whose lands they slated for colonisation and settlement. The only thing Israel has asked for, and continues to ask for in order to end the state of war with the Palestinians and its Arab neighbours, is that all recognise its right to be a racist state that discriminates by law against Palestinians and other Arabs and grants differential legal rights and privileges to its own Jewish citizens and to all other Jews anywhere. The resistance that the Palestinian people and other Arabs have launched against Israel’s right to be a racist state is what continues to stand between Israel and the peace for which it has struggled and to which it has been committed for decades. Indeed, this resistance is nothing less than the “New anti- Semitism”. Israel is willing to do anything to convince Palestinians and other Arabs of why it needs and deserves to have the right to be racist. Even at the level of theory, and before it began to realise itself on the ground, the Zionist colonial project sought different means by which it could convince the people whose lands it wanted to steal and against whom it wanted to discriminate to accept as understandable its need to be racist. All it required was that the Palestinians “recognise its right to exist” as a racist state. Military methods were by no means the only persuasive tools available; there were others, including economic and cultural incentives. Zionism from the start offered some Palestinians financial benefits if they would accede to its demand that it should have the right to be racist. Indeed, the State of Israel still does. Many Palestinian officials in the Palestinian Authority and the Palestine Liberation Organisation have been offered and have accepted numerous financial incentives to recognise this crucial Israeli need. Those among the Palestinians who regrettably continue to resist are being penalised for their intransigence by economic choking and starvation, supplemented by regular bombardment and raids, as well as international isolation. These persuasive methods, Israel hopes, will finally convince a recalcitrant population to recognise the dire need of Israel to be a racist state. After all, Israeli racism only manifests in its flag, its national anthem, and a bunch of laws that are necessary to safeguard Jewish privilege, including the Law of Return (1950), the Law of Absentee Property (1950), the Law of the State’s Property (1951), the Law of Citizenship (1952), the Status Law (1952), the Israel Lands Administration Law (1960), the Construction and Building Law (1965), and the 2002 temporary law banning marriage between Israelis and Palestinians of the occupied territories. Let us start with why Israel and Zionism need to ensure that Israel remains a racist state by law and why it deserves to have that right. The rationale is primarily threefold and is based on the following claims. Jews are always in danger out in the wide world; only in a state that privileges them racially and religiously can they be safe from gentile oppression and can prosper. If Israel removed its racist laws and symbols and became a non-racist democratic state, Jews would cease to be a majority and would be like Diaspora Jews, a minority in a non-Jewish state. These concerns are stated clearly by Israeli leaders individually and collectively. Shimon Peres, for example, the dove of official Israel, has been worried for some time about the Palestinian demographic “danger”, as the Green Line, which separates Israel from the West Bank, is beginning to “disappear … which may lead to the linking of the futures of West Bank Palestinians with Israeli Arabs”. He hoped that the arrival of 100,000 Jews in Israel would postpone this demographic “danger” for 10 more years, as ultimately, he stressed, “demography will defeat geography”. The report adds affirmatively that, “those who support the preservation of Israel’s character as … a Jewish state for the Jewish nation … constitute a majority among the Jewish population in Israel.” Of course, this means the maintenance of all the racist laws that guarantee the Jewish character of the state. Subsequent annual meetings have confirmed this commitment. It is important to stress that this Zionist rationale is correct on all counts if one accepts the proposition of Jewish exceptionalism. Remember that Zionism and Israel are very careful not to generalise the principles that justify Israel’s need to be racist but are rather vehement in upholding it as an exceptional principle. It is not that no other people has been oppressed historically, it is that Jews have been oppressed more. It is not that no other people’s cultural and physical existence has been threatened; it is that the Jews’ cultural and physical existence is threatened more. This quantitative equation is key to why the world, and especially Palestinians, should recognise that Israel needs and deserves to have the right to be a racist state. If the Palestinians, or anyone else, reject this, then they must be committed to the annihilation of the Jewish people physically and culturally, not to mention that they would be standing against the Judeo- Christian God. It is true that Palestinian and Arab leaders were not easily persuaded of these special needs that Israel has; that it took decades of assiduous efforts on the part of Israel to convince them, especially through “military” means. In the last three decades they have shown signs of coming around. Though Anwar El-Sadat inaugurated that shift in 1977, it would take Yasser Arafat longer to recognise Israel’s needs. But Israel remained patient and became more innovative in its persuasive instruments, especially its military ones. When Arafat came to his senses and signed the Oslo Accords in 1993, he finally recognised Israel’s right to be racist and to legally discriminate against its own Palestinian citizens. For that belated recognition, a magnanimous Israel, still eager for peace, decided to negotiate with him. He, however, continued to resist on some issues. For Arafat had hoped that his recognition of Israel’s need to be racist inside Israel was in exchange for Israel ending its racist apartheid system in the occupied territories. That was clearly a misunderstanding on his part. Israeli leaders explained to him and to his senior peace negotiator Mahmoud Abbas in marathon discussions that lasted seven years, that Israel’s needs are not limited to imposing its racist laws inside Israel but must extend to the occupied territories as well. Surprisingly, Arafat was not content with the Bantustans the Israelis offered to carve up for the Palestinian people in the West Bank and Gaza around the Jewish colonial settlements that God had granted the Jews. The United States was brought in to persuade the malleable leader that the Bantustan solution was not a bad one. Indeed, equally honourable collaborators as Arafat had enjoyed its benefits, such as Mangosutho Gatcha Buthelezi in Apartheid South Africa. It was no shame to accept it, President Clinton insisted to Arafat at Camp David in the summer of 2000. While Abbas was convinced, Arafat remained unsure. It is true that in 2002 Arafat came around some more and reaffirmed his recognition of Israel’s need for racist laws inside the country when he gave up the right of return of the six million exiled Palestinians who, by virtue of Israel’s racist law of return, are barred from returning to the homeland from which Israel had expelled them while Jewish citizens of any other countries obtain automatic citizenship in an Israel most of them have never before seen. In an op-ed piece in The New York Times, Arafat declared: “We understand Israel’s demographic concerns and understand that the right of return of Palestinian refugees, a right guaranteed under international law and United Nations Resolution 194, must be implemented in a way that takes into account such concerns.” He proceeded to state that he was looking to negotiate with Israel on “creative solutions to the plight of the refugees while respecting Israel’s demographic concerns”. This however, was not sufficient, as Arafat remained unpersuaded of Israel’s need to set up its racist apartheid in the occupied territories. Israel had no choice but to isolate him, keep him under house arrest, and possibly poison him at the end. President Abbas, however, learned well from the mistakes of his predecessor and has shown more openness to Israeli arguments about its dire need to have a racist apartheid system set up in the West Bank and Gaza and that the legitimacy of this apartheid must also be recognised by the Palestinians as a precondition for peace. Abbas was not the only Palestinian leader to be beguiled. Several other Palestinian leaders were so convinced that they offered to help build the infrastructure of Israeli apartheid by providing Israel with most of the cement it needed to build its Jews-only colonies and the apartheid wall. The problem now was Hamas, who, while willing to recognise Israel, still refused to recognise its special needs to be racist inside the Green Line and to set up an apartheid system inside the occupied territories. This is where Saudi Arabia was brought in last month in the holy city of Mecca. Where else, pondered the Saudis, could one broker an agreement where the leadership of the victims of Israeli racism and oppression can be brought to solemnly swear that they recognise their oppressor’s special need to oppress them? Well, Hamas has been resisting the formula, which Fatah has upheld for five years, namely to “commit” to this crucial recognition. Hamas said that all it could do was “respect” past agreements that the PA had signed with Israel and which recognised its need to be racist. This, Israel and the United States insist, is insufficient and the Palestinians will continue to be isolated despite Hamas’s “respect” for Israel’s right to be racist. The condition for peace as far as Israel and the US are concerned is that both Hamas and Fatah recognise and be committed to Israel’s right to be an apartheid state inside the Green Line as well as its imposition of apartheid in the West Bank and Gaza. Short of this, there will be no deal. The ensuing summit between Condie Rice, Ehud Olmert and the exalted PA President Abbas was spent with Olmert interrogating Abbas on how much he remains committed to Israel’s need for apartheid in the occupied territories. A minor replay summit was concluded on the same basis a few days ago. Abbas had hoped that the two summits could coax Israel to finalise arrangements for the Bantustans over which he wants to rule, but Israel, understandably, felt insecure and had to ensure that Abbas himself was still committed to its right to impose apartheid first. Meanwhile, ongoing “secret” Israeli-Saudi talks have filled Israel with the hope and expectation that the Arab League’s upcoming summit in Riyadh might very well cancel the Palestinian right of return that is guaranteed by international law and affirm the inviolability of Israel’s right to be a racist state as guaranteed by international diplomacy. All of Israel’s efforts to achieve peace might finally bear fruit if the Arabs finally concede to what international mediation had already conceded to Israel before them. It should be clear then that in this international context, all existing solutions to what is called the Palestinian-Israeli “conflict” guarantee Israel’s need to maintain its racist laws and its racist character and ensure its right to impose apartheid in the West Bank and Gaza. What Abbas and the Palestinians are allowed to negotiate on, and what the Palestinian people and other Arabs are being invited to partake of, in these projected negotiations is the political and economic (but not the geographic) character of the Bantustans that Israel is carving up for them in the West Bank, and the conditions of the siege around the Big Prison called Gaza and the smaller ones in the West Bank. Make no mistake about it, Israel will not negotiate about anything else, as to do so would be tantamount to giving up its racist rule. * The writer is associate professor of modern Arab politics and intellectual history at Columbia University. His latest book is The Persistence of the Palestinian Question; Essays on Zionism and the Palestinians . A few hours ago I posted about results of a poll held in Israel to join the European Union. The results were meaningless to me as I know it will never happen… Israel, as is… is too good a ‘business’ for too many American organisations… they would never allow such a thing to happen. However, the results of another poll, which were just published moments ago are most disturbing. It shows fear from both the Jewish and Palestinian populations in Israel…. a fear of each other. The Jews fear the Arabs, fear to go into their villages….. the Arabs fear the Jews will expel them to the Palestinian Territories. In both cases, a fear based on ignorance and a fear that can only stand in the way of the two peoples getting to know each other and working together to establish justice in the area for all the citizens. The poll does show why the Palestinians in Israel proper are Second Class Citiizens…. a status that must be changed…. also only possible by the two peoples getting to know each other…. both sides will be pleasantly surprised to see how much they have in common. A report dealing with the poll in question follows…. 68.4 percent of Israeli Jews fear a civil uprising on behalf of Israeli Arabs and 63.3 percent say they won’t enter Arab towns in Israel, according to the results of the 2006 index of Jewish-Arab relations released on Monday. The poll also showed that 62 percent of the Arab population in Israel fears that the “triangle” area will be ceded to a future Palestinian state and 60 percent say they fear a mass expulsion from Israel. The survey, which was administered by the dean of the Faculty of Social Sciences at the University of Haifa, Professor Sami Smooha, polled 1,423 Jewish and Arab Israelis on a wide range of issues dealing with the rift between Jews and Arabs in Israel. According to the poll, 80 percent of Jews said that in future agreements dealing with the borders and demographics of Israel, the state must retain a Jewish majority. Furthermore, 64.4 percent of Jews polled said they feel that Israeli Arabs pose a security risk to the state through their high birth rate, and 83.1 percent said Israeli Arabs are a security risk due to their support of the Palestinians. On the other hand, the poll shows that fears among the Israeli Arab population, with 80 percent saying they fear mass land expropriations on the part of the state, and 73.8 percent saying they fear they will suffer violence from Israeli authorities, and 71.5 percent from Israeli citizens.